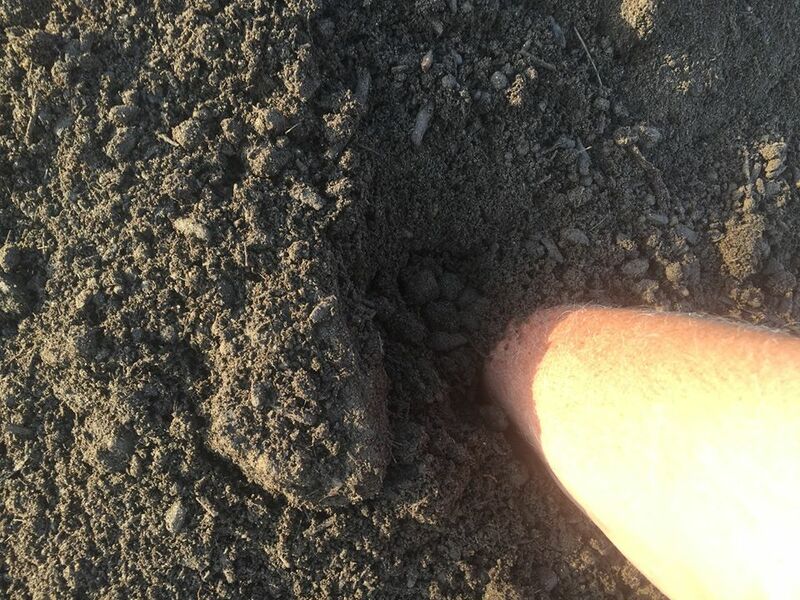 We screen our own soil here on our property with a 3/8" screen so that there's no rocks, which makes it very easy to rake out onto a lawn or landscape beds. You can come pickup as little as half a yard or as many yards as you need, as well as having it delivered to your site. Our truck holds ten yards and we can make as many trips as you want or we can hire tri-axles (giant dump trucks) to bring you huge amounts of soil in fewer trips. In addition to selling top soil by itself, we also do something very unusual. 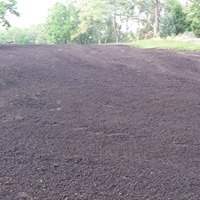 We mix grass seed with the top soil for pickup or delivery so that all you have to do is spread it over the top of the bare spots in your yard and it will germinate in less than half the time with very little effort on your part. You really don't even need to use hay if you do it this way. One spring, we sold it to a customer who said he had a started lawn growing within one week of spreading the seed/soil mix. It usually takes about six weeks for germination the normal way in spring. We can also customize the seed we use according to your light levels: sun/sun and shade/shade. We normally mix about 10lbs/yd if you are spreading it on thin and a little more than 5lbs/yd if the soil is going to be put on thicker. The cost is a little more than $100.00 per yard picked up: soil+seed+mixing labor+tax (Plus delivery if you want that option). 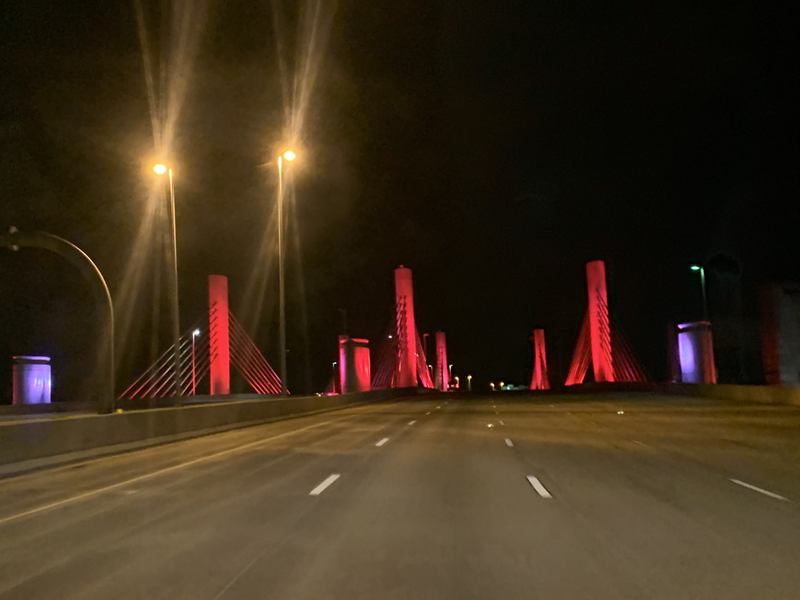 We can adjust this according to your light level. Pictures are a representation in stages of how we mix it, but the last three pictures are the real thing using half bluegrass/half perennial ryegrass mix. 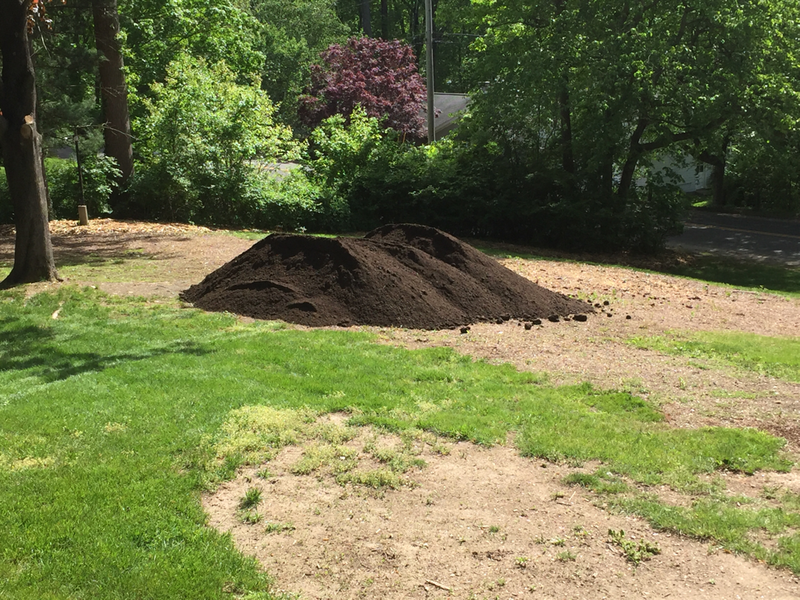 Beautiful earthy soft rockless soil delivered today to aid in lawn reclamation after trees were taken down. We keep our topsoil dry so it is easy for you to use. Absolutely no rocks in it. A pleasure to handle unlike many other suppliers' quality of topsoil. PH of 7.0, which is perfect for gardens and lawns. $36/ yard and $25 for 1/2 yard. Vegetable garden soil. PH 7.0, perfect for vegetables. 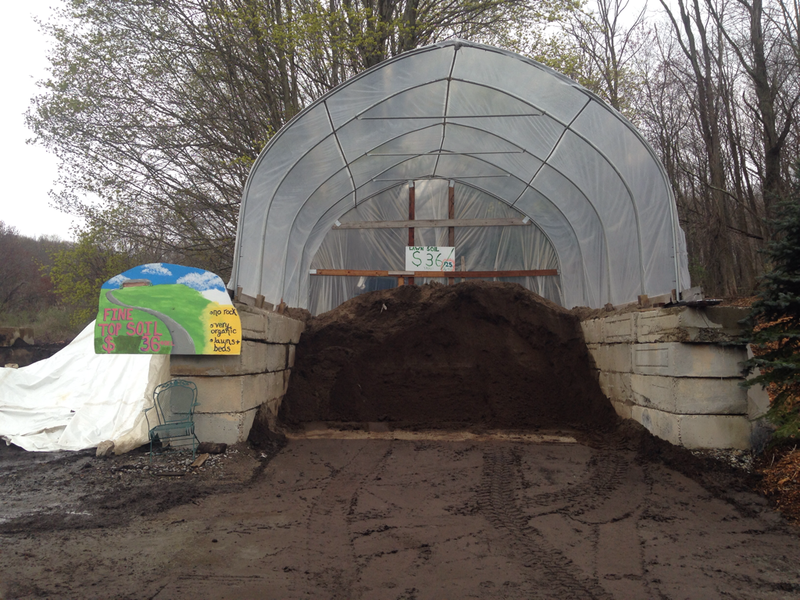 We mix our topsoil with our compost to create a living soil. If the soil is a live with microbes, your plants will be very happy. 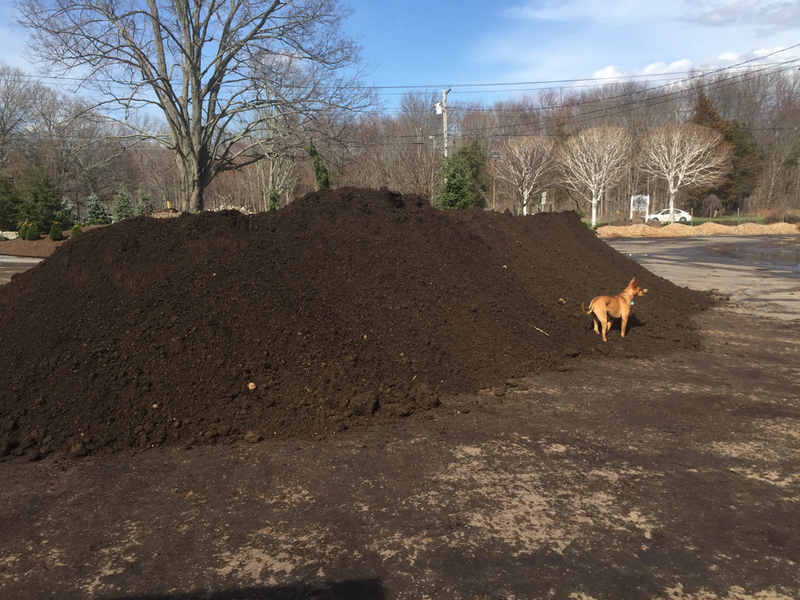 The microbes need to be fed with organic matter, which is why we add our rotted mulch. If you pick up a handful, you can see the life in the soil. That's what it's all about. 4/12/17 Our garden soil-finished product after blending. pH of 7.0, perfect for veggie gardens. Soft, fluffy, pliable. Two kinds available: $45 and $55 per yard. If you don't need a tool to dig in the soil, then it's ready for your vegetables.